The department is conducting faculty searches in areas related to Intelligent Systems and Data Management. Please let us know if you are interested in more details (cssearch18@emory.edu). The ad is also available here. 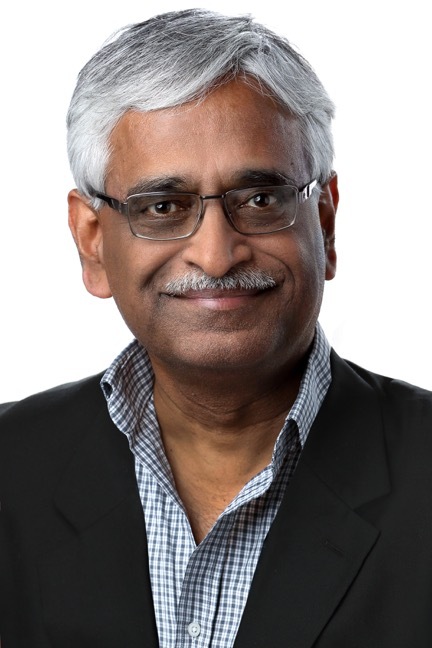 The Departments of Mathematics and Computer Science are pleased to announce the 25th annual Evans/Hall Lecture Award Ceremony on Thursday April 25 at 4pm in E208, Mathematics and Science Center, with a reception following. 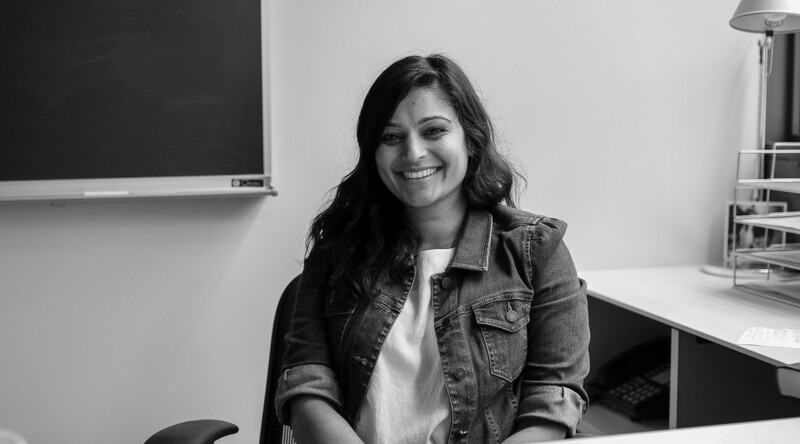 Our speaker this year will be Mili Shah, Associate Professor of Mathematics at The Cooper Union for Advancement of Science and Art. The Evans/Hall Lecture honors graduate and undergraduate students in the departments and recognizes outstanding accomplishments via the Trevor Evans Award, Deborah Jackson Award, Marshal Hall Award, Research Awards, and Departmental Awards. Angela Banks, Undergraduate Coordinator, successfully completed Emory’s Aspiring Leaders Program. Each year, a group of Emory professionals are selected from a competitive pool of applicants to join the Aspiring Leaders Program. Over the course of six-months, participants engage in weekly seminars covering a variety of topics to develop a greater understanding of how to apply leadership action in their professional career. The program introduces the essentials of effective leadership to equip employees with the tools and resources to step into leadership roles. The Department congratulates Angela’s commitment to excellence and professional development! This is the second consecutive year that the Emory team has won this contest. 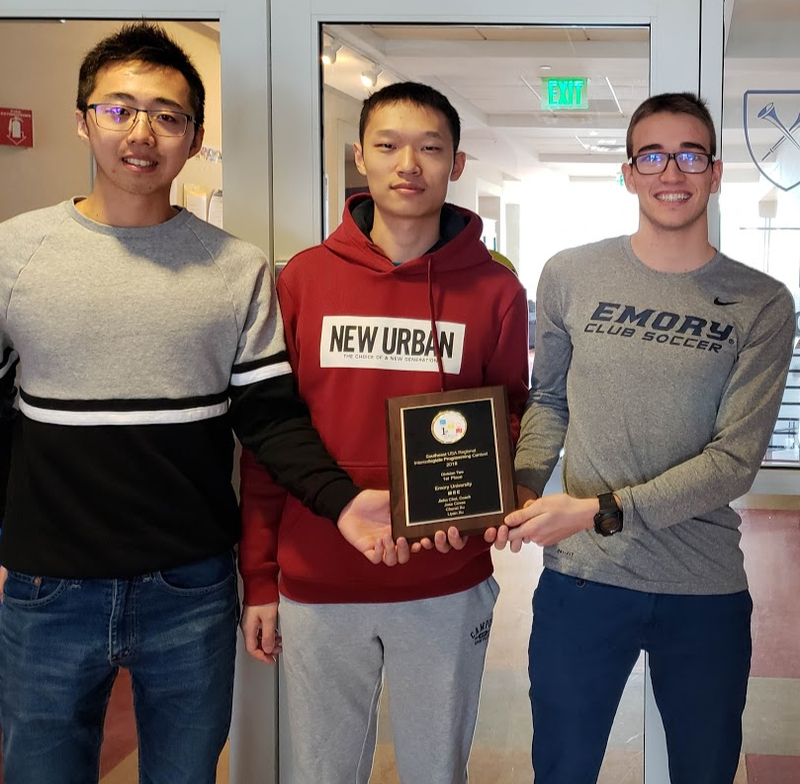 Teams from Emory University have consistently been in top-3 for the last four years. All credit is due to the students (and their coach) who invested their time, effort, and enthusiasm to prepare for this contest -- congratulations! The Department of Mathematics and Computer Science is pleased to announce the 24th annual Evans/Hall Lecture and Award Ceremony on Monday April 30th at 4pm in E208, Mathematics and Science Center, with reception following. 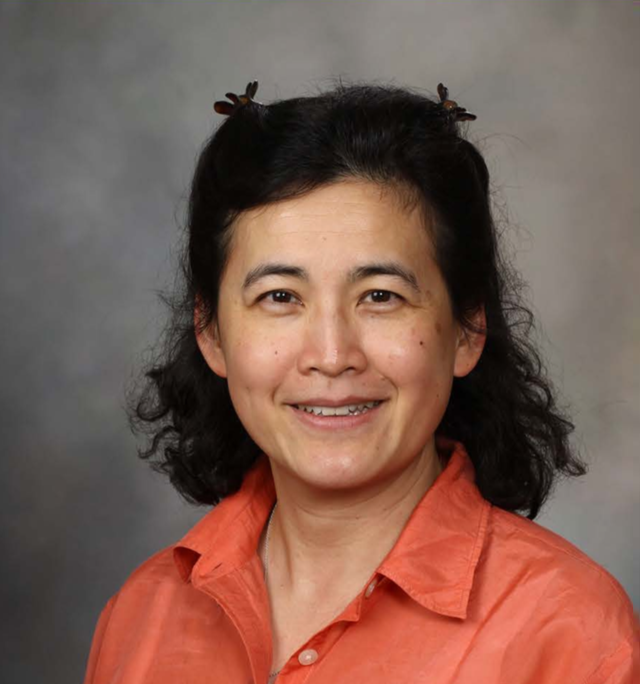 Our speaker this year will be Christine U.Lee of the Mayo Clinic College of Medicine. The Evans/Hall Lecture honors graduate and undergraduate students in the department and recognizes outstanding student accomplishments via the Trevor Evans Award, Deborah Jackson Award, Marshall Hall Award, Research Awards ,and Departmental Awards. 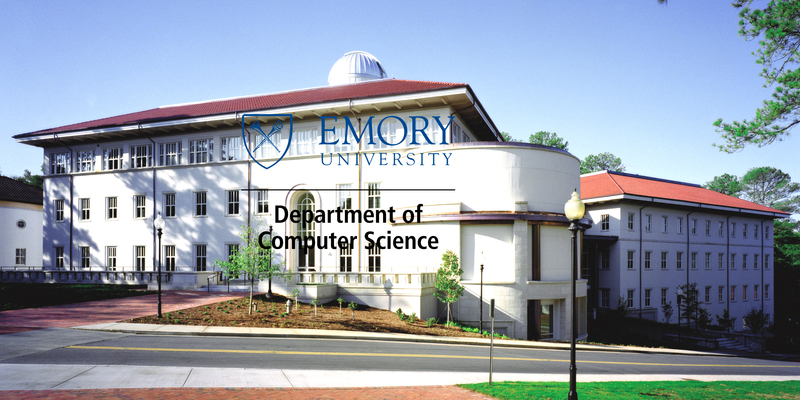 The Department of Mathematics and Computer Science at Emory University is pleased to host the Workshop on Reduced Models for the Cardiovascular System on Thursday, April 26th and Friday, April 27th. The schedule and additional information can be found here. Eugene Agichtein of Emory MathCS and his co-authors from Yahoo! 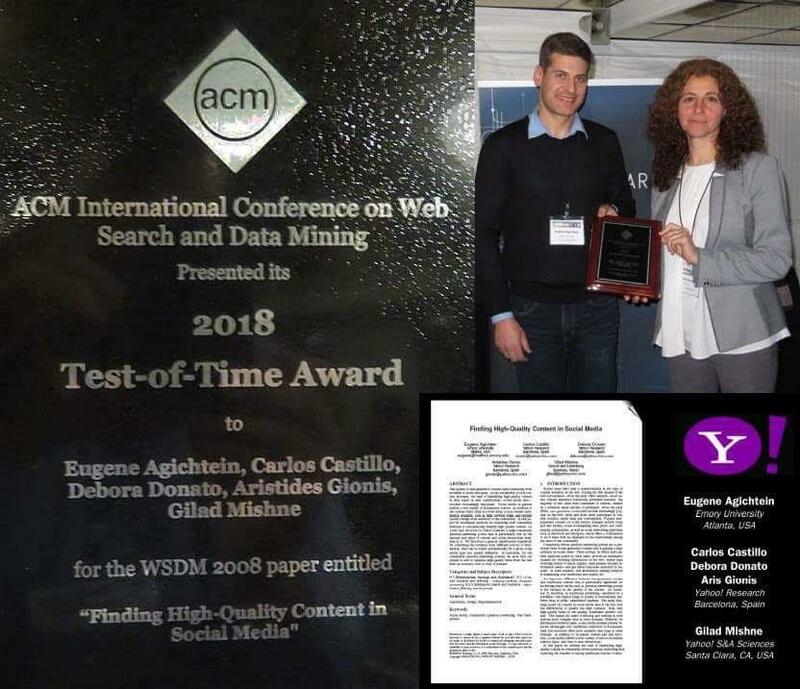 Research were honored at the 2018 ACM International Conference on Web Search and Data Mining for their paper, "Finding High Quality Content in Social Media." This methodology, developed 10 years ago, could form the underpinnings for detecting spurious content in social media, phenomenon that has recently come to be highlighted." The original paper may be accessed via https://dl.acm.org/citation.cfm?doid=1341531.1341557. Congratulations Eugene! Professor Lars Ruthotto has been awarded an NSF CAREER award for his project on rigorous and efficient methods to design and train deep neural networks. Based on a new mathematical framework, Dr. Ruthotto's approach simplifies design and analysis by formulating deep learning as a dynamic optimal control problem, and has many implications for numerous societal applications. More details are at https://www.nsf.gov/awardsearch/showAward?AWD_ID=1751636.